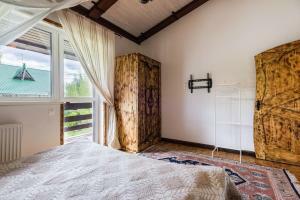 A-HOTEL.com - Luxury and cheap accommodation in Tsvelodubovo, Russia. Prices and hotel, apartment booking in Tsvelodubovo and surrounding. Offering a restaurant and a private beach area, Ribatskiy Khutor is located in Pervomayskoye. The accommodation will provide you with a terrace. Pansionat Olshaniki in Ol'shannik provides accommodation with free bikes and a fitness centre. Featuring a 24-hour front desk, this property also provides guests with a children's playground. Boasting ski-to-door access and barbecue facilities, Guest house in Serebryaniy bor offers accommodation in Korobitsyno, 3.4 km from Red Lake Ski Resort 2 and 3. Located in a quiet area of Pravdino village, on the shore of Pravdinskoye Lake and surrounded by nature, Pravdinsky Prichal features a number of amenities to help guests relax, including a sauna, hot tub, and a steam bath. Guests can enjoy a number of outdoor activities here, including fishing, hiking, skiing, and cycling.